The Tap offers its own encryption layer that superposes on transport layer encryption to ensure data privacy and key security. 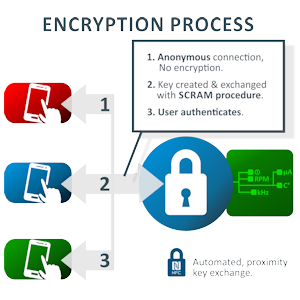 Encryption and authentication are enhanced with NFC automation of key pairing and exchange. Tap also makes security implementation simple, and configurable. No expertise in encryption techniques, algorithms or managment is necessary.